The countdown continues! Only 6 more fridays til Christmas and I need to pat myself on the back here a minute because I have actually started my Christmas shopping! Mainly because I needed some presents for under the tree for a photo shoot, but still it counts! 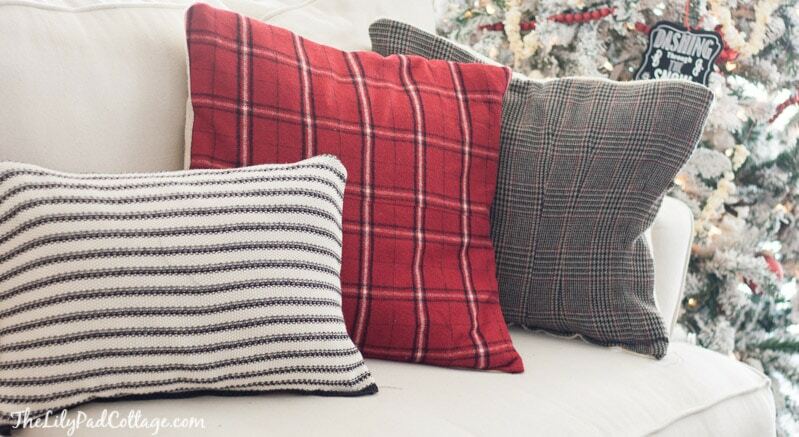 This week I’m sharing a quick idea for making fun Christmas pillows. Last year I made this cute sweater pillow from a sweater I found at Goodwill. I was on the hunt to make a few more this year, but I totally struck out at the sweater department. That’s when a red flannel skirt caught my eye! 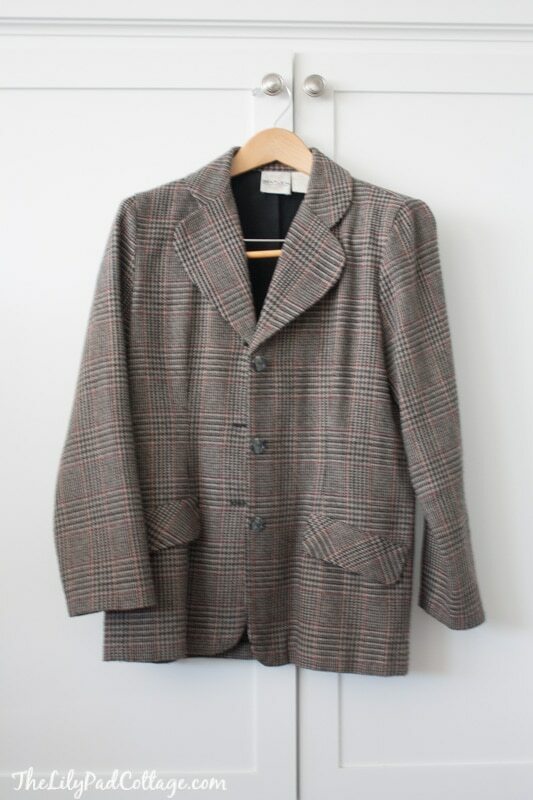 Then this jacket popped out at me, pretty soon I was looking at all the departments for cool fabric for pillows. I even had a lovely elderly woman tell me she thought the sweater would look “just fantastic” on me :) I explained to her I was going to make it into a pillow and she was a little flabbergasted! In total it cost me about $12 for a sweater, jacket, and skirt and I made 4 pillows out of them. I backed them all with some scrap white fabric I had leftover from another project. And boom my couch is cozily Christmasfied! Sneak peek alert of the beginnings of my Christmas tree! Be sure to check out all the other fun projects below! YIKES!! I didn’t need the countdown to Christmas. I living in denial. I’m still thinking Thanksgiving. I can’t think that far ahead. Please tell me that I can slow time down. What a cute, cheap, fantastic idea! Guess I’ll be making a trip to the thrift store today. You are so clever! Thanks for sharing! Thanks Lori, hope you found some goodies! I love this post! 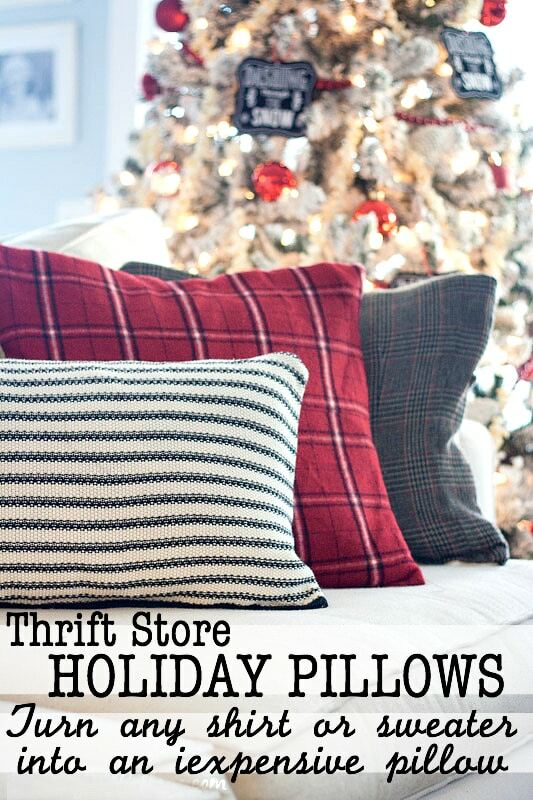 Great idea to make holiday pillows out of goodwill discards! I know what I’ll be doing this weekend! Thank Lindsay, it’s so fun to hunt for good fabric! What a fantastic idea!!! I am just learning how to sew. Right now my big thing is burp rags…..I make them for all my friends when they have babies. It is super fun and meaningful! Anyways, to sew for pillow….how do you measure the pillow to make sure you are making the cover the right size? Do you add a zipper on one side to get the pillow in and out or do you just sew it completely shut around a pillow insert? I would love to do this. Hey Mandy, so sorry I never actually gave any advice on how to make the pillows ha! I actually used an existing pillow cover that I had to make a template, and then I do just completely sew it shut around the pillow. I figure they are only going to be out on Christmas so I don’t want to mess with a zipper – thanks! Oh I love these Kelly! And I think plaid is so big this year as well as flannel! Don’t you love giving something a second life! Thanks so much for sparking my imagination. I’m off to Goodwill this weekend! I love partying with your! YOur home is gorgeous! 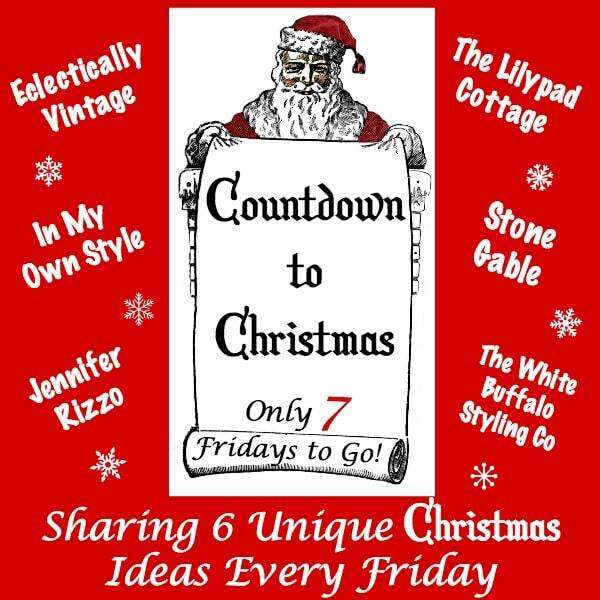 Thanks Yvonne, can’t wait to see your home all decked out for Christmas, I know it will be beautiful! Love! Where did you get that white tree or was it a DYI? Hey Ashley, it was from Walmart ha! I love this! Everything in this post is awesome! 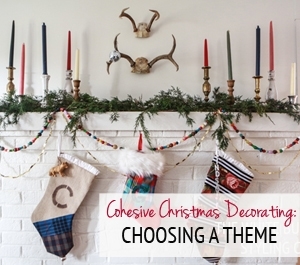 Cannot wait for your holiday home tour-i’m doing something very similar this year and you just gave me tons of ideas! Did you make the deer pillow too or was that store bought? Thanks! Hey Clarissa, thanks! The deer pillow is from Hobby Lobby, only $12! I absolutely love the flannel look with your display this year! They turned out perfect, what a great idea! Can you tell me what size your white tree is? I need a new one, but can’t decide on size. Early Christmas here too before our town’s historic Christmas tour! EEEK! I think it’s 7 ft? We have 9 ft ceilings so I think that’s right. I have been making pillows out of old shirts, blouses or sweaters of friends and family who have passed. I use the front of a button down shirt for the back of the pillow. That way you unbutton the shirt to put the pillow in and out for washing. You just sew the whole way around with the right sides together. I have a camo shirt of my boyfriend who passed away in June. It has a 6″ zipper front. Do you think it will still work? I’m a newbie to all this! So sorry about your loss, I think that would definitely still work! Beautiful idea!